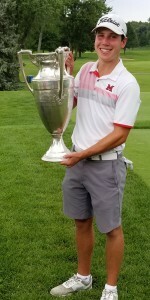 Highland Park’s Patrick Flavin will return to Miami of Ohio as the Illinois State Amateur champion. On Wednesday Jordan Hahn shot a 61 – the lowest round in the 87-year history of the Illinois State Amateur as well as the best ever recorded at Calumet Country Club, which opened its doors in 1901. On that magical day Hahn, a University of Wisconsin golfer from Spring Grove, was 7-under-par after seven holes and had a hole-in-one in that stretch. When he got to 10-under through 14 holes the tournament staff was envisioning a 59 but Hahn made a bogey and no compensating birdies coming in. That was on Wednesday, before storms pounded the course overnight. A day later Hahn wasn’t the same player and met his match in playing partner Patrick Flavin. 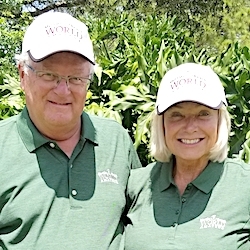 The Miami of Ohio senior-to-be from Highland Park found everything going his way, and he hung on for a one-stroke victory after a final round 67. Flavin, who birdied his first five holes of the opening round on Tuesday en route to shooting a 63, was looking forward to the scheduled 36-hole wrapup on Thursday. The rain, though, prevented that. The Chicago District Golf Association had to reduce its primary championship to 54 holes for the first time sine 2007. He made four birdies in the first seven holes to erase Hahn’s four-stroke lead at the start of the day. They were tied making the turn to the back nine and Flavin continued his solid play long enough to open a three-stroke lead with four holes remaining. Hahn knew all along it’d be hard to follow up his spectacular round of a day earlier. 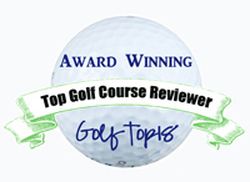 “I tried to keep it out of my mind, that I wasn’t going to make that many birdies and to just stay patient,’’ said Hahn, but his play – particularly on the par-5s where he was 1-over for the day – wasn’t close to what it was a day earlier; Still, the duel with Flavin was a good one right up to the end. Hahn got within one stroke with a 25-foot birdie putt at No. 17 after Flavin made bogey on the same hole, and they were just a shot apart heading to the 18th. Flavin’s final tee shot sailed deep into the left rough and his caddie, older brother Connor, managed to settle his nerves before Flavin uncorked the key shot of the day – a 6-iron from 188 yards that found the green. Both players missed lengthy birdie puts on the 18th and Flavin’s two-foot tap-in for par gave him the title. No other player was within four of the two front-runners. Flavin posted a 10-under-par 200 for the 54 holes. Hahn’s concluding 2-over 72 left his a stroke behind. Neither Flavin nor Hahn could wangle invitations to the upcoming Western Amateur at Skokie Country Club, though Flavin is still hopeful of getting into that prestigious national event. He will play in next month’s Illinois Open before heading back to school and Hahn hope to qualify for the U.S. Amateur on Monday in Wisconsin. If he doesn’t his summer season is over.